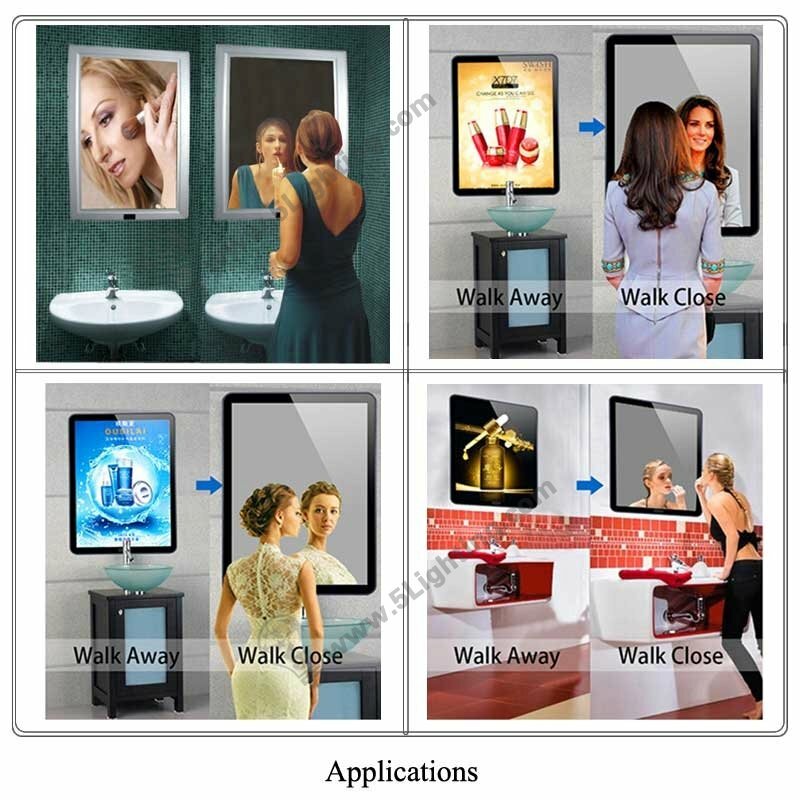 Application: Widely fixed in several kinds of interior decoration scenes, such as chain store, commercial centre, large exhibition project etc. 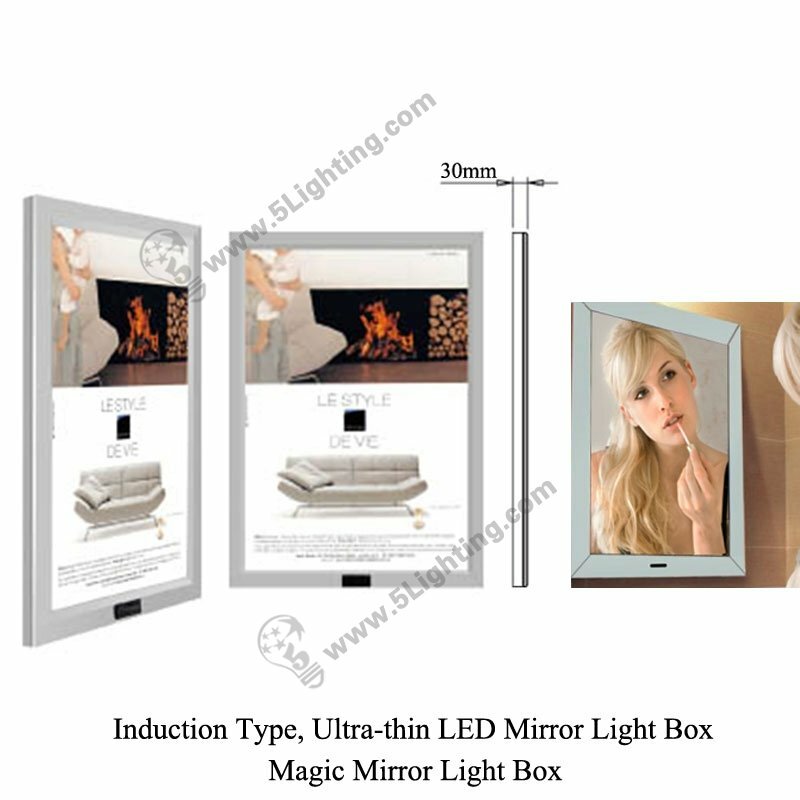 f): This led mirror light box super slim is full automatic replacing between poster and mirror, it has been widely fixed in several kinds of interior decoration scenes, such as chain store, commercial centre, airport, bank, large exhibition project etc. 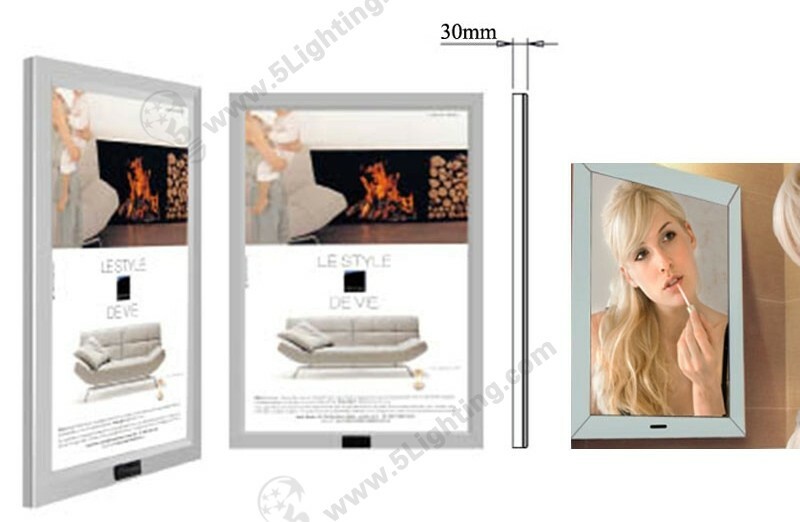 : Other places need to use advertising light boxes to display. 7. Specifications and design subject to possible modifications without notice, due to improvements. 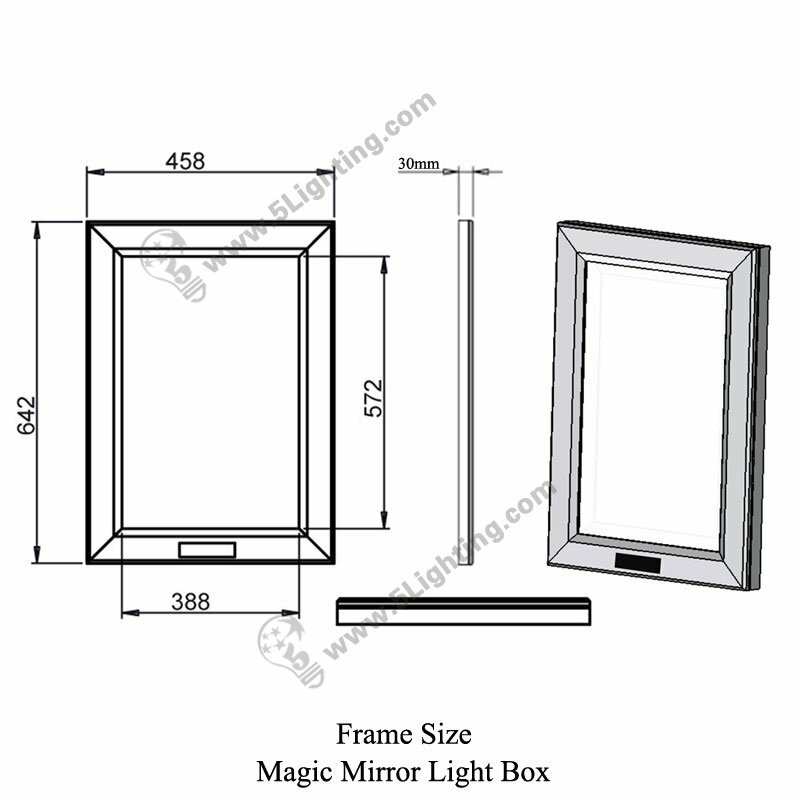 Good quality magic mirror light box induction from 5 star lighting factory ! Plug options: CE, UL, SAA, etc. Package: Bubble bag, cartons, adding plywood frame for shipping. 6. Close the four upper cover. 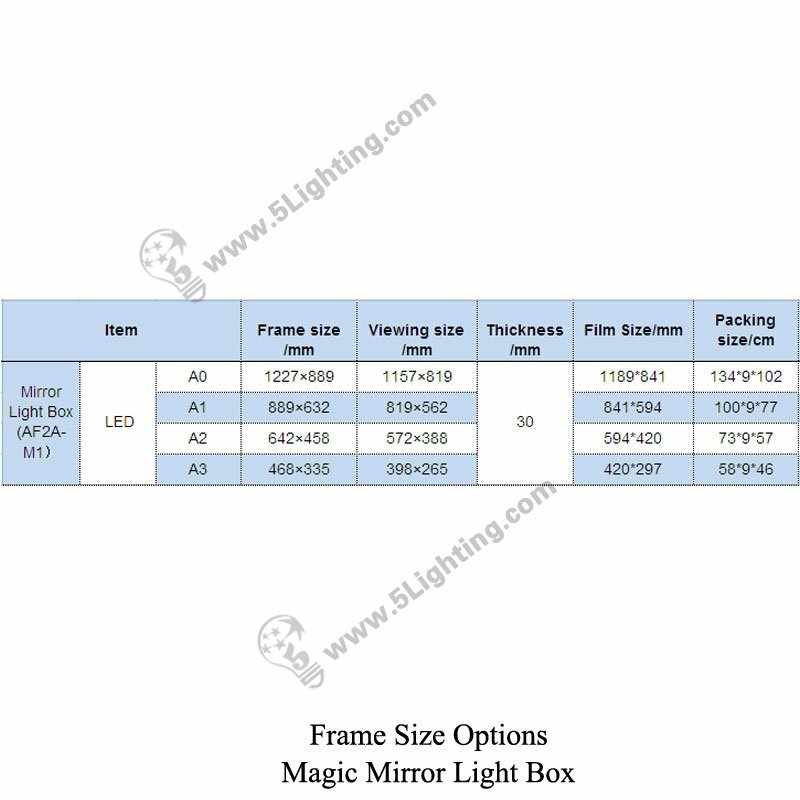 We just list some popular super thin single side light box display models as below, more other models like SEG / RGB vivid / Writing board / Double Sided lightbox display ,please contact us for more information .